It is said that a Martial Arts Academy it’s not composed by its walls, ceiling, floor or even the training gear but made of the people attending and their relationship with the Teacher. In most of the cases this catchy phrase is just a marketing tool to make feel people attached to a place and to keep going through the time. 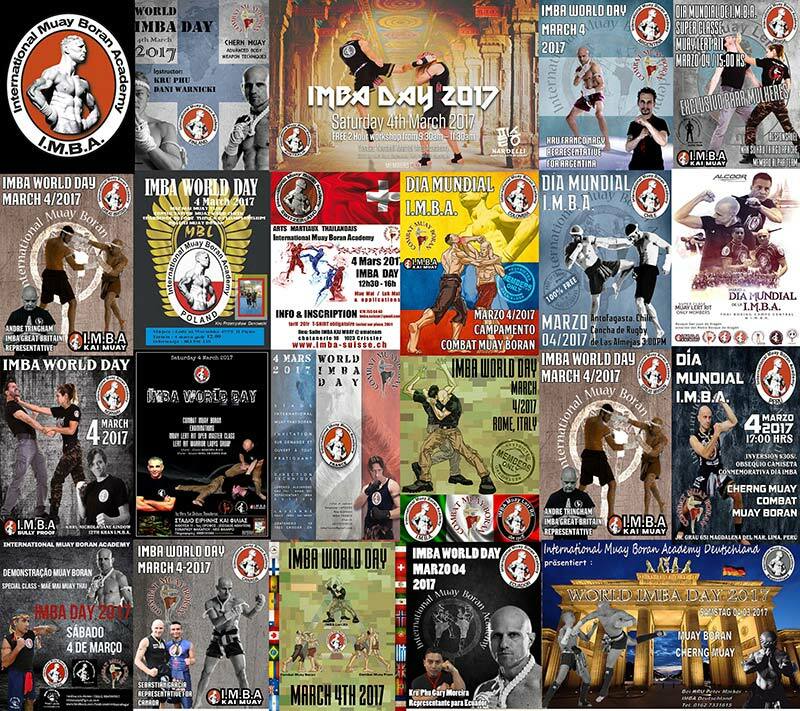 The IMBA World Day is more than a marketing tool or an excuse to gather people who want to stay in touch but is not training regularly; it is a confirmation of the feeling every member around the world has when belonging to our Academy, We all really are part of the structure, spirit and life of IMBA. This year we were 20 countries (3 more than last year) and we all enjoyed a celebration where the main element was the unicity of our Academy, separated by distance but not by heart. Didn’t matter if we made a seminar, tournament, Special class, examinations, or if we made the celebration at the school, at a park, a forest or the beach, we were all together. We had new countries like Chile, Canada, Germany and Great Britain and I am sure the next Annual Gathering in Italy we all will be talking about how much we liked every activity in all the IMBA branches around the world.